By default, only a administrator which is member of “Enterprise Admins” group can authorize the DHCP which is installed in domain environment. If the other accounts would like to authorize the DHCP server which is a member server in child domain, you may get “Access is denied“. To ﻿solve this problem, I try to grant the permission for child domain administrator. 1. At the forest root domain controller, log in as Domain Administrator. 2. Launch “Active Directory Sites and Services“. 3. 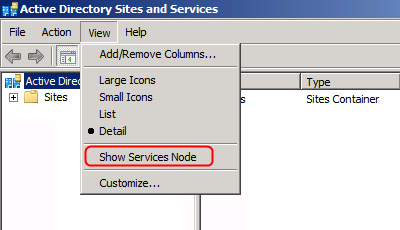 On the menu, click “View > Show Services Mode. 4. Expand “Services > NetServices“. 5. 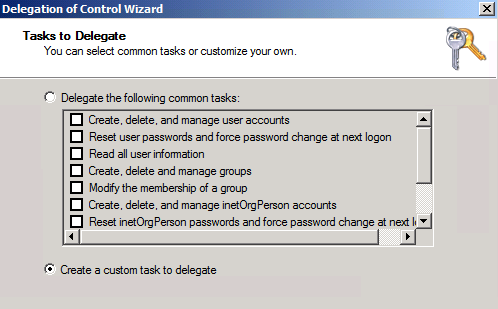 Right-click “NetServices“, select “Delegate Control“. 6. 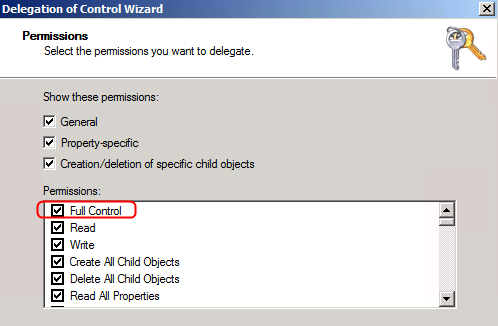 On “Delegation of Control Wizard” screen, click “Next“. 7. 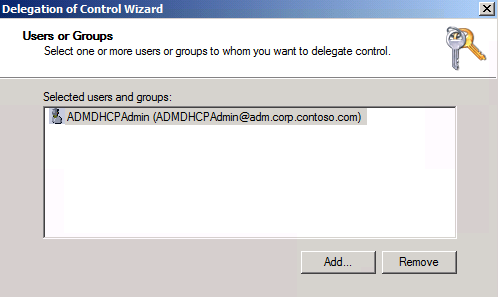 On “Users or Groups” screen, add an user or group which you want to grant permission for authorizing DHCP servers to. 9. 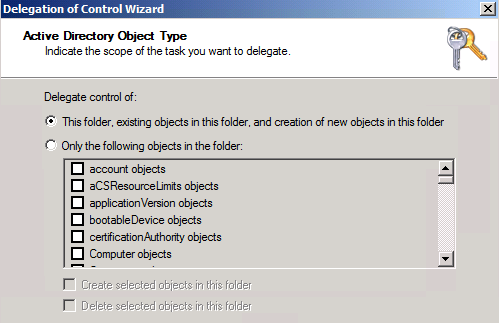 On “Tasks to Delegate” screen, select “Create a custom task to delegate“. 11. On “Active Directory Object Type” screen, select “This folder, existing objects in this folder, and creation of new objects in this folder“. 13. On “Permissions” screen, check “Full Control“. 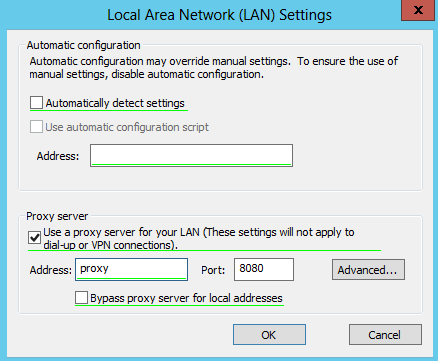 Now, the non-enterprise administrator user account can authorize the DHCP Server which is installed in Child Domain. Fast and lucid display of container permissions and audit configurations in Active Directory environments. Analysis: Where in the directory hierarchy are permissions granted for an account (including it’s group memberships)?For which objects the permission inheritance is blocked? Liza is a free tool for Active Directory environments which allows you to display and analyse object rights in the directory hierarchy. You could use the tool for example to perform security permission analysis in an AD domain or the AD Configuration Partition. I always found the out-of-the-box possibilities to examine the object security in Active Directory environments rather unwieldy to handle for complex permission settings. So with the LIZA development, i tried to display most of the permission ACE (Access Control Entry) information as simple as possible so you have an almost complete overview at the first sight. And after much digging around on the internet I found out why. If you notice below each setting has a red dotted line and a green line, the ones with the green lines are enabled and the ones with the red dotted lines are not enabled or ignored. To simply enable and disable, click on the section you are about to change and press F6, this will configure/enable just this setting-The red dotted line should turn green. The same goes for your LAN settings, un-tick automatically detect settings and enable with F6 this will make sure the policy is applied, if you disable/ignore (F7) the setting the policy with not check with the local machine policy’s. 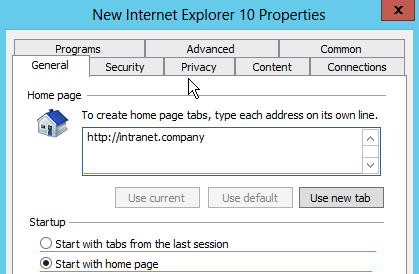 Enter the URL of the Home page you wish to set, and select start with home page. Notice the red dots underlining the home page entry. You must press F5 (or F6), to confirm the entry. If you do not the setting will not be applied. Once you have done so, the entry turns green. 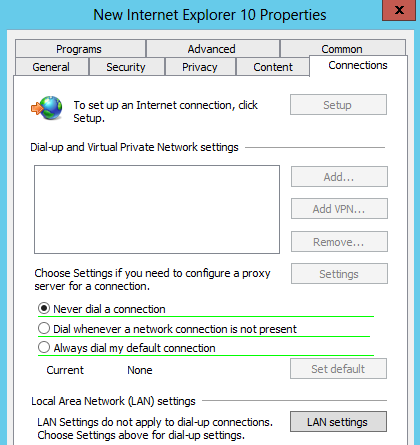 Create or modify an existing Internet Settings policy as explained above, this time head over the connection tab -> Lan Settings. Specify the proxy, again note the red dots showing that the setting have not been confirmed. Press F5 to confirm. IEM(Internet explorer maintenance) data and directives inside the GPO are still there. 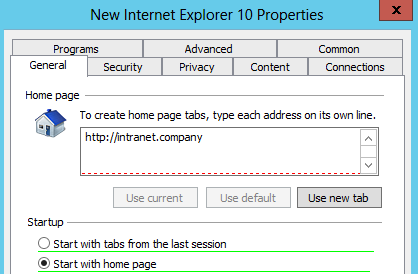 But when IE 10 is placed upon that machine, it promptly ignores those directives.